Nokia 808 PureView with 41 Megapixels Carls Zeiss sensor launched at Mobile World Congress, February 2012 has become The 1st World best cameraphone. More than 300 hundreds people are working to develop and build this Nokia 808 PureView and almost 5 Years of development. 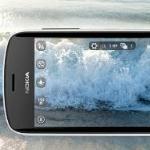 Watch and enjoy this "5 Years in TheMaking of Nokia 808 PureView" video.